I went to visit a friend some years ago. She felt the need to unburden herself and I was glad to listen. She told me that she felt like a ladder. What an analogy! What was happening in her life to make her think like that? She explained that it looked like she existed to assist others climb up to higher heights but she didn’t see herself ascending as well. My heart went out to her because I understood what she was talking about. She had helped her relatives who were of her generation to be established, then she lived with some of their children and did the same. At the time we were speaking, she was living with some children of that last group. That would be the third generation of relatives. She wasn’t a very rich lady, just very caring and always giving. As a result, she was sometimes in need but the people close to her generally saw her as someone to get from, not someone to give to. They hardly sent her cash or stuff of their own accord and when she did ask, they didn’t take it seriously or they gave excuses. They sometimes asked her what she did with her money simply because she didn’t have biological children but I can testify that she didn’t treat the young people living with her any less. At some point, the lady adopted children whom she could call her own to prevent being left empty-handed after investing so much in other people’s children. Have you ever felt like this lady, like you’re giving and giving and not getting much in return? I know I have, on many occasions. And I know from my interactions that it’s the same with quite a number of other Christians. This can be quite discouraging. Here are some things you should remember if you fall into that category. 1. If people usually come to you for help, it means you are special, loving and dependable. I think it’s a privilege to give and if people often see you as their source of aid, they are saying they believe God will answer their prayers for material support through you. What an honour! I would add that it is usually God who directs many of the people you assist to come to you. You may not be tremendously rich like my friend but you are committed to sharing what you have with others. I want you to know that God values your ministry in this area and trusts you enough to make you His extended hand to others. But you must avoid oversubscribing yourself. Some people who aren’t truly in need sometimes take advantage of other people’s good nature. They often rush in and if you’re not careful, they collect the resources you could use to take care of your family or those who are truly needy. An example is when someone lies that he or she has no food but uses your money to drink or gamble. Falling prey to such people would overstretch you and may push you to feel bothered by the level of needs you are “expected” to meet. Related: What Is The Value Of A Person’s Life? Therefore, pray that you discern who you should assist and in what way. You won’t be useful to anyone if you burn yourself out physically, financially and materially. And don’t feel guilty that you don’t help everyone. Only God can. Your duty is to do what He wants you to. He can raise others to take care of the rest. Your giving should run on grace and divine direction, not on human pressure and a bloated sense of obligation. 2. When you give, you have obeyed God’s commands to be kind and that puts you in right standing with God. That, I believe, is a wonderful return. It is true that the Bible promises receiving for giving in Luke 6:38, for instance, but if you obsess about receiving, you will lose sight of the scriptures that say to give without expecting anything back. When you have the attitude commanded in these scriptures, you will be able to overcome when your mind is barraged by thoughts of your giving not being reciprocated adequately or at all. You will know that you have done what is most important – obeying God – not minding whether the outcome is pleasing to you or not. 3. God is rewarding and will continue to reward your giving. The Bible assures us that those who give are lending to the Lord and He will repay them (Proverbs 19:17). I do not think the Lord makes promises lightly. You better believe He will keep His word. 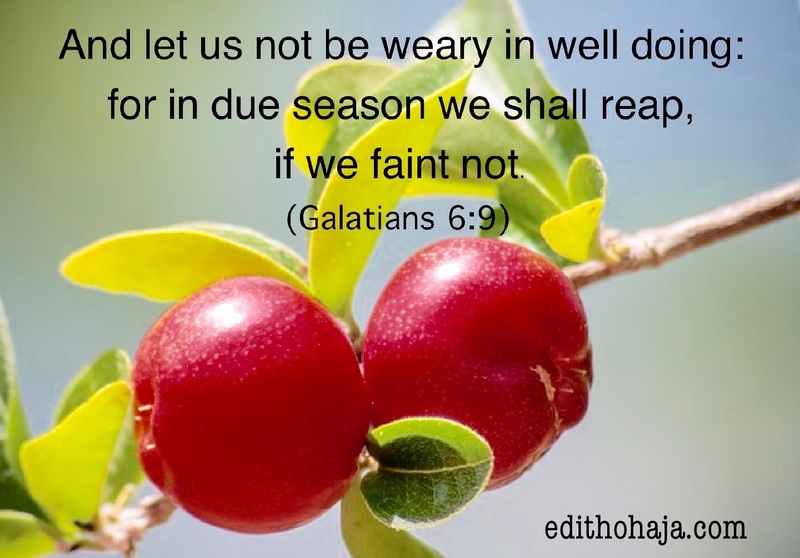 The payback may not come as speedily as you hoped for but know that God will surely remember you. Note that when God chooses to bless you materially, it may not be through those you blessed. That does not make His blessings less of a reward simply because they may come through those whom you never assisted before. The earth and all those in it belong to the Lord and He can move anybody He wishes to do His bidding. 4. The reward for your giving may not always come in material terms. In the scriptures above, the Bible is speaking of healing and upliftment. The latter does not always translate to more money. It may be influence and being highly regarded. In addition, there is great joy that arises from giving, from making a needy person’s heart to sing as Job calls it. (Job 29:13) Only those who are steadfast in giving know that joy. Above all, an eternal reward awaits you when the Lord Jesus returns as He taught us in the Parable of the Sheep and the Goats. 5. You can influence the outcome of your giving to a certain extent by training those under you to appreciate you. If you spend years catering to others without mentioning your problems, they may assume you have all you need. By the time you start broaching the idea of them helping you, it would be hard for it to register in their minds. I’m not preaching putting oneself before others but helping people around you to realise you are also human and have needs such that as you expend yourself for them, they spare some thoughts for you too when occasion demands. For example, if you’re a parent, tell your children your birthday, open up to them about your challenges, etc. Let them sing “Happy birthday” to you and draw you something even if it’s all they can do. Let them pray for you as well. If you do this, when they become busy adults, they will be more likely to remember and send you something for special occasions or when you need help. You can also pray that the enemy does not abort the fruit of your giving or steal your reward. In places where witchcraft is practised, spells are sometimes cast to prevent people that others may be assisting from amounting to anything or to make those who should support other folks to neglect their responsibilities. Some young people are “remote controlled” to go from problem to problem, wasting the funds spent by their sponsors on their education. Similarly, aged parents have been known to be abandoned by their children whom they sacrificed much to train and establish in life. Children may be hexed to pick unnecessary quarrels with their parents and adopt other extended family members or total strangers to enjoy their largesse. You need to pray against such manipulations in the name of Jesus. Giving is one of the wonderful ways we can serve as co-workers with God as we are called in 1 Corinthians 3:9. No matter what the outcome looks like, do not relent. And always remember that, as the Lord Jesus said, “It is more blessed to give than to receive” (Acts 20:35). Hold on to that and the Lord will never cease to show His faithfulness in your life. May God cheer you up and increase your grace for giving. May He multiply your earnings and meet your needs so that you will never lack what to give. May He continually show You that He sees and values your labour of love in Jesus’ name. The Bible tells us it is more blessed to give than to receive, God will always bless a cheerful giver especially when he/she gives according to his leading. God is a rewarder of those who diligently seek him (Heb. 11:6), let us always remember that the reward of our giving may not come in material terms. True, Tope! May God help us to keep showing love and care to people we come across in Jesus' name. Nice piece . You have said it all. You don't give cos you have much if it is so zarephath woman in 1 king 17 had no reason to give Elijah food. God honours sacrificial giving and that's what you talked about. Give to make others happy. Give to save. Give as unto d Lord not as men pleaser and God will reward you at his own time and his own way. Shalom! Yes, God never fails. He takes note of the things we do and rewards us in time. May His blessings be evident upon your life and family always in Jesus' name. Amen and amen. And may God enlarge your coasts, Gakuo, in Jesus' name. Wow, and thanks for dropping by, Evangelist Felix! May God multiply your fruit in the endtime harvest to which He has called us in Jesus' name. You've made great points and observations here, Edith. Yes, we need to be cheerful in our giving and while it can discourage us when we see the recipients using the money in different ways than it was intended by us, we need to trust that God knows and will deal with them about that. Thanks for this post! Thank you so much, Cindy! Glory to God! More grace in your ministry in Jesus' name. it is more blessed to give than to receive, I had to read this cause I do give and sometimes feel been taken advantage of ,thank you MA for reminding me about the real aim of giving. The victuals and the real reason behind it ..
Noble thoughts, Nkemdilim! May God grant your heart's desire in Jesus' name. Giving should really be in the dictionary of a Christian, we should learn to give, bearing in mind that our reward will be great, even when it seems some people dont appreciate it at the moment. God gave us the greatest gift without taking anything from us, that is the most wonderful gift one can ever give to anyone. I want to be the vessel God will use in terms of giving to the less privileged. This is a motivational article which is a must-read for every philanthropist and for those who desire to be. Madam Ohaja has made us to understand that charity is a difficult exercise which many people are scared of because of the pains involved in it. There is a saying which goes this way: “There is no gain without pain”. As a matter of fact, we are enjoined to overlook the temporal, negative outcomes of our charity deeds and be incited to be more charitable by the positive and enjoyable outcomes of them. We should also realize that when people approach us for financial aids, they are indirectly testifying of our kindness before others. However, one must think twice when approached by people for help because the “mechanics” are always mistaken for mad men. Some disguise themselves as beggars while they are not but only want to collect money from people and perform some charms against them. Prayer is also necessary at this point so as to know God’s will before we engage ourselves in any charity deed. Giving is a central to christian life. No wonder the Bible also says that Givers never lack. This has been the motivating factor for most Givers. One cannot stop giving because He does not seem to be receiving. Like Aunty stated, The reward for giving must not come as materiel things. Infact, giving without hope of receiving reward is the best form of Giving. Thank You Ma for those Tips. You are blessed! As believers we should also give without expecting in return. Most of us give due to the fact that the bible says if you give you shall receive and not because they want to, they look at the benefits. We should give out of the abundance of what God has given to us and he will surely reward us. I've actually felt like a ladder before and it got me thinking if it was my destiny just to help people, but now with this tips, I will have this in mind when helping people, and it is better to give than to receive.. Thank you Aunty Ohaja. For God so love the world that he gave and his gift is the greatest gift of all. So we should count ourselves privileged whenever we are in position to give unto others. This has really opened my eyes to the secret of giving, thank you ma. Wow! This post is emphatically for me. I stopped talking to one of my friends recently because I felt used. She always called me when she needed something and I felt like she did not love me as much as I loved her. I gave up on the friendship and parted ways. Having read this, I think I should go back to being friends with her, maybe I'm supposed to be a light in her path, to help her shine. 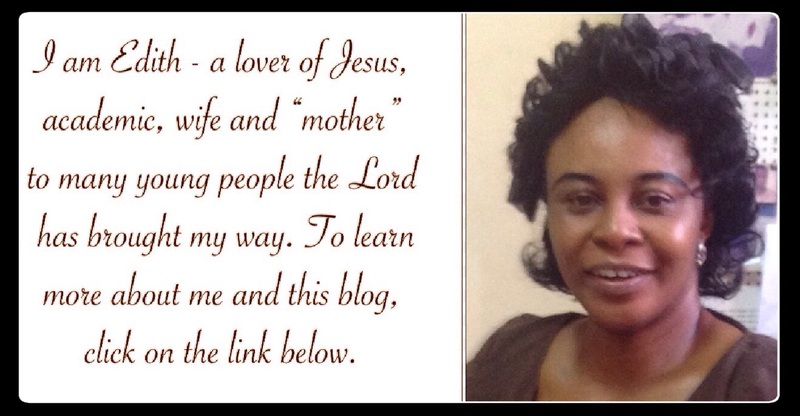 This blog has blessed me tremendously! I can't explain it all. I always pray to be successful so I can be a blessing unto others others because givers never lack it’s just a simple logic. Who will give the giver when he needs? I ask this question sometimes and it amuses me. I love giving and feel honoured when people(fellow students) come to me. And i noticed that when i get money to feed, somehow those in need remember to visit me. Then i understood that for givers, God makes sure they mostly never lack to give. Its an honour to be an extended hand of God to others, what Joy it brings. Blessed are the ones that giveth I believe God who sees the good deeds rewards secretly.very encouraging. I’m still thinking of where I can save this post in order not to lose it. I want to save it somewhere reliable where I can always go to and read it over and over again especially when I start having the same analogy as your friend once did. This post is one in a million. It deserves to be read by everyone. It helps to motivate the givers to give more and also make the receivers to know that givers also need to be given sometimes. In fact, there is nothing more to say. You have said it all ma’am. Thank you and may your ink never stop flowing. There is more blessing in giving than in receiving, givers never lack. Thanks a lot ma for these words of encouragement. Very touching and encouraging. We should feel blessed and special if people often come to us for help because God has chosen us as a means of reaching out to those people. Also, we should give willingly and not because we feel forced or compelled to do so. I love what you pointed out about not obsessing over receiving while we give. If we do so and do not receive as much as we expect, we might get frustrated. Instead, we should believe God will reward our good deeds. No matter how ungrateful people can be, giving remains a virtue, always give without expecting in return, God will surely reward a cheerful giver. The one i love best here is no. 4. That are reward doesn't come in material things. There are great reward to those that give and the Bible says that they never lack. But be ye prudent in your giving. Amen, Edith. We must check our heart and motives and see that we are aligning ourselves with the truth found in scripture. Thanks for the insight. Blessings. Thanks for dropping by, Kelly! You are right, giving with improper motives may prevent our harvest. More grace on your ministry in Jesus' name.